Image In the Public Domain – taken from Wikimedia. 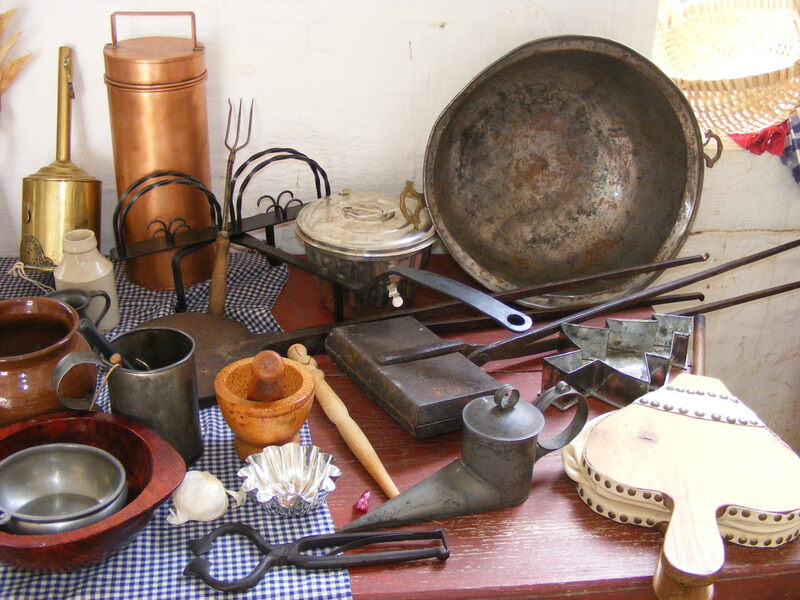 In June 1864, the U.S. Sanitary Commission held a great fair in Philadelphia to contribute to the aid and comfort of the Northern soldiers during the Civil War. It was such a grand and extravagant affair that a book was published on the activities and items found at the fair including the various foods of Pennsylvania. Pretzels were one of the foods fair-goers could sample. Speaking of cookery naturally suggests the bill of fare, which, in this case, consists of coffee, tea, chocolate, bread and butter, lot-werk (apple butter), noodle-soup, eggs (boiled or fried), omelette etwas (scrambled eggs), dried beef, summer wurst, tongue, ham (boiled or fried), buttered waffles (with sugar and cinnamon), trichter-kuchen (flannel cakes), dampf-knauf and schnitz, meerschaum, pie, zwiebach, krollers, fast-nachts, pfefferkuchen, leb-kuchen, pretzels, or zucker-pretzels…The cooking is going on very constantly, and a glance into the back kitchen reveals cakes and loaves and pies, and all the delicacies we have named, in exhausting profusion…The Pennsylvania Kitchen is a great feature of the Fair, and a visit to it provokes that hearty good feeling and enjoyableness which more elegant departments fail to excite… – Stille, Charles Janeway. 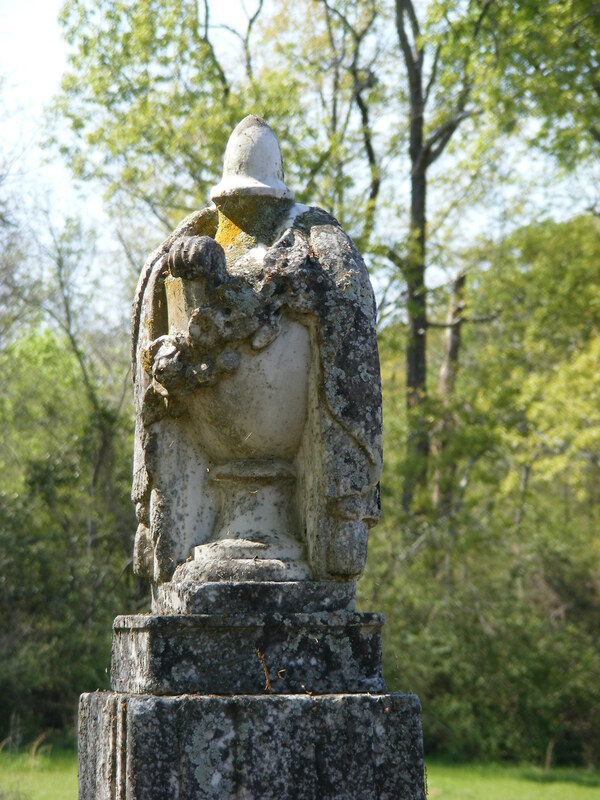 Memorial of the Great Central Fair for the U.S. Sanitary Commission. 1864. Philadelphia. All those luscious treats were made by hand and served hot and fresh in great quantity. Some, especially the pretzels, schnitz un knepp, and dried beef, remain Pennsylvania Dutch specialties today. Anything made by hand tastes better than when mass produced by machines, and pretzels are the perfect example. We’ve watched the employees making soft pretzels at Revonah in Hanover, PA, and it looks easy. Looks can be deceiving. My first effort at making pretzels was a dismal failure. Perhaps because we’ve had the best anything else pales in comparison. In Ohio (and probably other pretzel-making states) girls were employed in making pretzels by hand from the later part of the 19th century. It was hard work, monotonous, with long hours, and for little pay. The work is tiresome and the wages low. Their duties consist of forming the pretzels, the material coming to them cut in strips by machinery. The girls stand at long tables and before each is placed a small board, leaving just space enough in front of her to shape the dough. As the pretzels are rolled and formed they are placed upon the board and when the latter, which hold just 800, is full, the girl has earned 3 ½ cents. Although the wages are slender, and in some cases fall as low as $1. per week, many of the girls attain a high degree of speed and skill. An expert, with constant work can make $3. per week. The figure represents the making of 25,860 pretzels which would be an average of 4,300 pretzels per day. The girls are required to be constantly on their feet. Wrapping and packing are not so laborious, and is paid by the week instead of by the piece. In all departments, the little corner in which each girl works is called her shop, and she must clean it up and put in order every evening, after working hours are over. The average number of weeks worked during the year is fifty, and the average hours per day 10. – Ohio Bureau of Labor Statistics. Annual Report. Vol. 17. 1893. GERMAN PRETZELS. Take 2 quarts of flour, one tablespoonful of butter, one teaspoonful of salt, one compressed yeast cake, 2 tablespoonsful of sugar and 2 ½ cup of milk; dissolve the yeast in a third of a cup of milk, add 1 tablespoonful of sugar and mix with 1 cup of flour to a soft dough; put into a bowl and let stand overnight. Mix the remainder of flour with the salt and sugar, put the light dough into the center and mix with the milk and butter and knead until smooth, and let rise again; when light divide the dough into small pieces, roll out into long sticks, twist in pretzel shape, and lay on buttered pans; when light, brush over with the white of an egg and sweet milk and bake in a quick oven. – Our Horticultural Visitor. 1895. PRETZELS: Sift together two cupfuls of flour, one teaspoonful of salt and a pinch of ginger; add one egg beaten, one-third of a cupful of butter, one-half of a yeast cake dissolved, and stir in enough sweet milk to make a very stiff dough; beat with biscuit roller until smooth, and let rise; cut off small pieces and roll them between the hands into strips, form small rings, pinch the ends of the dough together, and let rise; put them a few at a time in salted boiling water, let cook until they begin to come to the top of the water, take out quickly, sprinkle with salt, put in a greased pan, and bake a light brown. – Table Talk. Vol. 27. Feb. 1912. GERMAN SWEET PRETZELS. Mix half a pound of flour with half a pound of fresh butter; add a quarter of a pound of sugar, one egg and one beaten yolk, one tablespoonful of sweet cream and some grated lemon peel. Mix thoroughly and mold the dough into small wreaths; brush the top with the yolk of an egg and sprinkle with powdered sweet almonds. Lay in a well buttered baking tin and bake until a deep yellow. – Table Talk. Vol. 27. June 1912. TEA PRETZELS. 1/3 cup butter, 1/4 cup sugar, 1 egg, 2 cups white flour, 1 teaspoon salt, 1 teaspoon vanilla, 3 dozen almonds. Cream the butter and add the sugar slowly. When thoroughly creamed, add the beaten egg, the salt, and the flavoring. Add the flour. Cover the dough and place on ice an hour or so. Break off small bits and roll into strips the size of a lead pencil. Bring the ends together, cross them and fold back to the middle portion of the strip. Beat one egg slightly and add one tablespoon of milk. Brush the pretzels with the egg mixture. Chop the almonds and press into the dough. Bake in a moderate oven. – Cooper, Lenna Frances. The New Cookery. 1914. PRETZELS. Made of ordinary bread dough with an extra amount of salt; roll the dough to a proper thickness and form into pretzel shape; throw them into a cauldron of strong hot lye made from wood-ashes; as soon as they rise to the surface, throw them on fine salt; immediately after put in the oven and bake; it requires about an hour to perfectly bake them. – Gill, Thomas. The Complete Bread, Cake, and Cracker Baker. 1881. Chicago. Job Adriaenszoon Berckheyde’s The Baker, 1681. Pretzels are shown with various other types of bread. Recently a segment on Today spoke of pretzels being eaten in Philadelphia since the early 1700’s, obviously relished by the Germans who settled there. Areas where pretzel-eating Europeans settled in the U.S. would have continued to make them, but they would have been slow to spread outside those areas until the age of global transportation and communication. 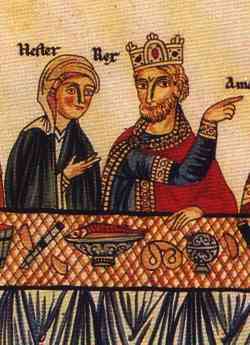 A published account dated pretzel making to the year 610 AD. 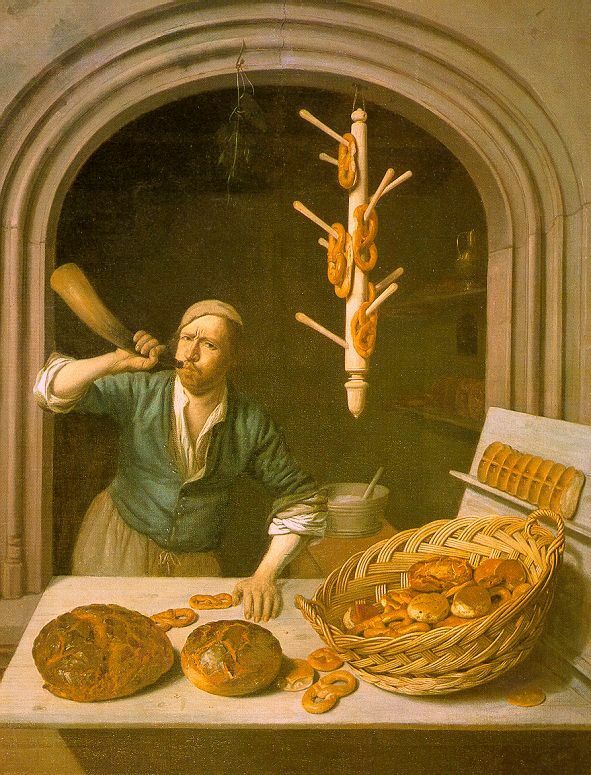 Although it has been reposted countless times, there was no source given for that date, and in the absence of documentation, the origins and earliest history of pretzels becomes again conjecture. Hortus Delicarum comes from the Southwest German Alsace, today France. The area changed hands several times politically, however, food customs would have remained constant, and this is where the origin of pretzels plays into German and French culture. Pretzels seem to have also played into early Italian history. Pretzels, the well-known German rolls, have never taken hold in this country [England]…in America where in some of the large towns there are great German districts in which the home customs are maintained as much as possible. Amongst those customs, the eating of Pretzels plays an important part. – The Epicure. Nov. 1902. Julius Sturgis opened the first commercial bakery to make hard pretzels in 1861 in Lititz, Lancaster Co., PA. The Anderson Pretzel Factory followed in 1889. Legend has it that the hard pretzel originated in Pennsylvania, possibly during this period. A writer claimed in 1890, it had been some 75 years previous  when he first saw the word pretzel in print, and referred to them as New Jersey handcuffs. Mary Anne Hines and William Woys Weaver identified one of the earlier Pennsylvania pretzel vendors as Daniel Christopher Kleiss who sold soft pretzels on the streets of Philadelphia in the 1820’s, however, again, they offered no source for that information. – Hines, Mary Anne, Weaver, William Woys. The Larder Invaded. 1987. Philadelphia. Walsh, William Shepard. American Notes. 1890. Philadelphia. An early 20th century account claims the name came from, “a slight modification of the old German word meaning a chain. In form the pretzel reminds us of the magic chains of the old German sorceresses.” – Bray, Frank Chapin. The Chautauquan. March 1897. When we visit Pennsylvania the first thing we do is stop for soft pretzels at Revonah Pretzel Co. in Hanover. They are soft and chewy, salt sprinkled, and a nostalgic return to his childhood for Martin. 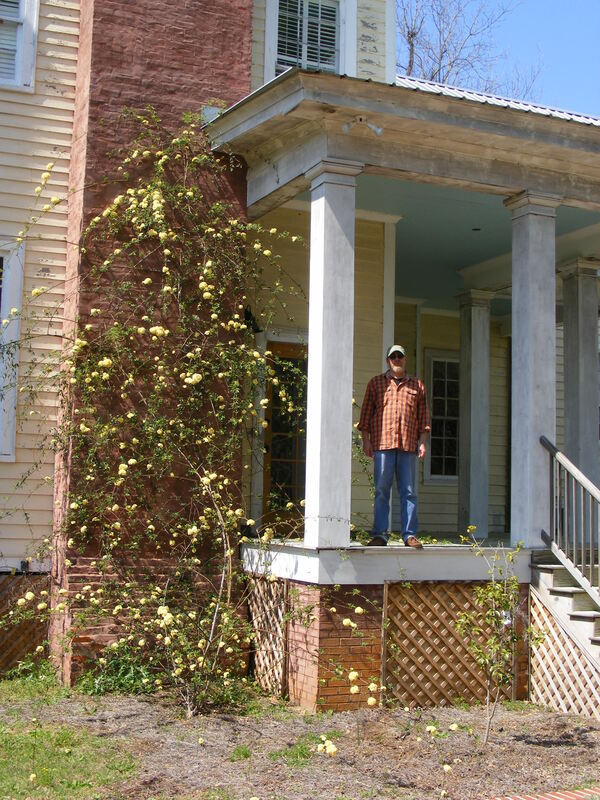 I grew up or, as we say in the South, “was raised” in South Central Tennessee and have no such recollections. There is a reason for that. In 1947, Pennsylvania pretzel-makers were putting forth a campaign to introduce pretzels into what they termed, “darkest America—those broad reaches of the South and West where the natives, languishing in barbarism, apparently never heard of pretzels and certainly don’t eat them”. Pennsylvania produced more pretzels in the 1940’s than any other state, followed by Ohio, New York, New Jersey, Maryland, Michigan, Illinois, Missouri, and California. Readers will note the lack of Southern states in that line-up. The method of making them was fairly standard. An ancient art, pretzel making came to Pennsylvania with the early settlers. 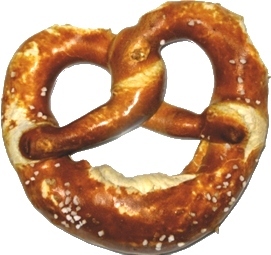 Pretzel history dates back to the third or fourth century. Their design apparently typified arms crossed in prayer, and it is believed that pretzels were given children as a reward for saying their prayers. Pretzels once symbolized bakeries just as striped poles indicate barber shops, and the pretzel was part of the crest of the Bakers Guild. – Kiplinger’s Personal Finance. Feb. 1947. Pretzel dough itself, no matter how the baker shapes it, is pretty much the same everywhere; wheat flour, yeast, salt, water, and maybe a dash of sweetening. Either in sheets or in strands, the raw dough gets a hot soda dip, which prepares it for a sprinkling of surface salt and makes it take a glaze. Then it goes into the baking and drying ovens. In earlier times, the pretzels were dipped in lye-water, but by the 1940’s that had been replaced with soda water. “The pretzels are dropped into the lyewater, kept at boiling point. At first, they will sink, but come to the surface after a few seconds when they are done and must be removed at once with a strainer. They are immediately placed on the peel, sprinkled with salt, and placed in the oven”. Thus prepared, the baking time was minimal. The baking time and the strength of the lyewater in which they were dipped determined the color of the baked pretzels, and different areas had their own preference as to color. In Wurttemberg and other provinces of Southern Germany they preferred gold or straw yellow. In Switzerland and Austria they were baked until much darker, and in Elsass-Lorraine [Alsace-Lorraine] and Rhinelands they preferred them even darker. – Braun, Emil. The Baker’s Book: A Practical Hand Book of the Baking Industry. 1902. NY. Pretzel vendor, Junius Henry Browne, The Great Metropolis [New York], 1869. Note the pretzels on the pole coming out of the basket. 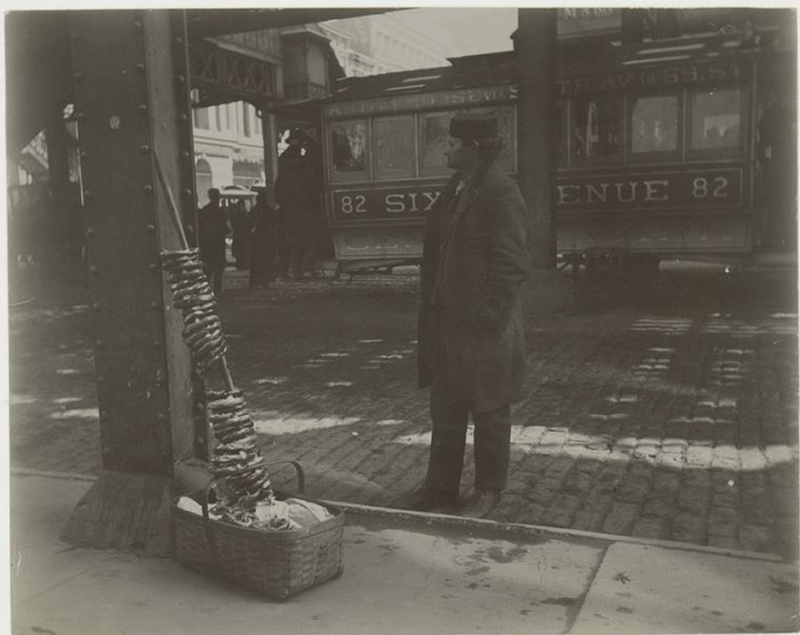 Pretzels were sold by vendors who carried them on long poles and that custom survived into the early 20th century. Harper’s Weekly indicated that at least in some areas of New York the pretzel vendor did little business and endured extremes of weather. – Harper’s Weekly. Vol. 35. No. 1778. Jan. 1891. 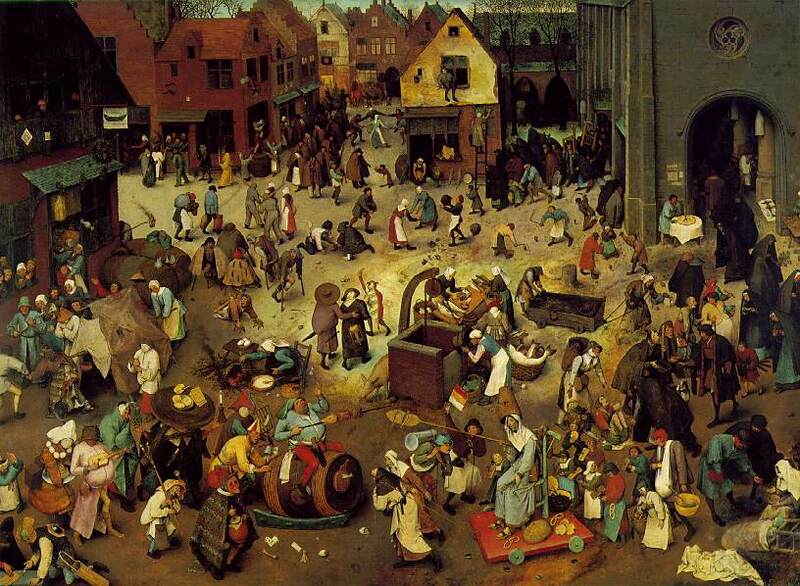 Carnival scene by Pieter Bruegel, 1559. Pretzels are seen in the bottom right corner (on the cart, and hanging from the waist of the person just behind the cart. See: Allentown Board of Trade. Past, Present, and Future of the City of Allentown, PA. 1886. Allentown. If there’s one food Southerners know, its home-grown tomatoes whether they’re ripe slices served with a helping of fried okra and creamed corn, or fried green slices. With summer fast approaching let’s take a quick stroll down memory lane and see how and when our ancestors discovered the pleasure of a crispy golden brown on the outside, tender on the inside, fried tomato slice. A Charleston food critic recently wrote in his blog that fried green tomatoes aren’t Southern at all because he only found one recipe for them in a Southern newspaper. While they weren’t strictly Southern, they were being eaten in the South as well as every region of the country by the mid-19th century as receipts are common from the 1870’s on, and fried tomatoes were discussed as early as the 1830’s. 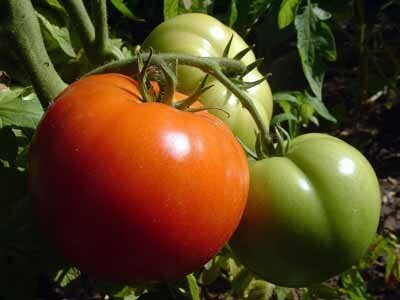 “Lovers of tomatoes are very fond of them, sliced green as apples are sliced, and fried in butter. Some persons are fond of them sliced and fried after being dipped in butter. The green tomatoes, which the season will not permit to ripen, may be turned to good account by using them fried.” – The New England Farmer. Oct. 14, 1836. The preceding passage by no means indicates they were only eaten as Jack Frost made his appearance or that frying them was the only option for preparing them. “Where’s the batter?” you ask. By the 1840’s tomato slices were being coated in flour before frying them. “Fried Tomatoes. Have plenty of butter hot in a pan, cut ripe tomatoes (large or small), in half, and lay the cut side down, salt, pepper, and dust with flour; when brown, turn and soon as all are quite soft, serve on a meat dish. This is a suitable relish if you are hurried, and universally esteemed”. – Pennsylvania Farmer and Gardener. Vol. 2, I. 7. 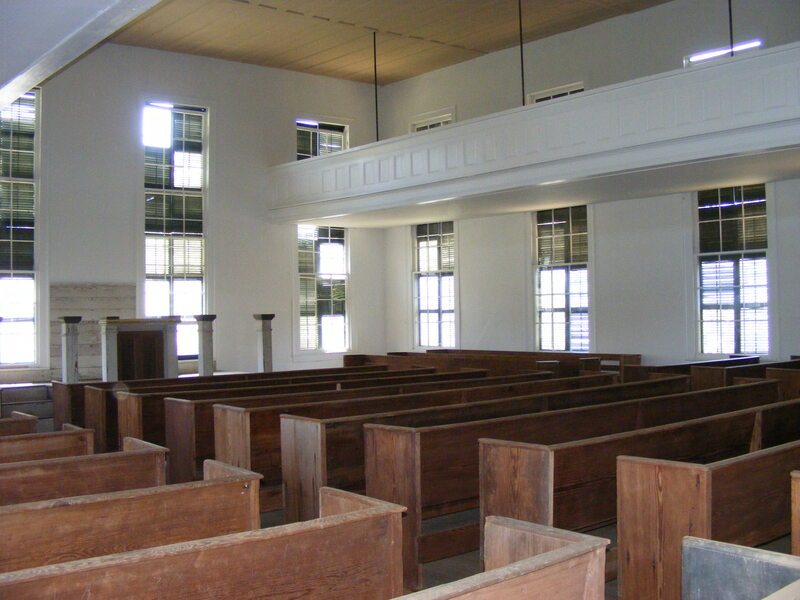 August 1861. “Not fried green tomatoes”, you point out. True. To that, I ask, have you ever tried frying a ripe tomato slice? The flavor is excellent, but because a ripe tomato is juicier and softer, it is much more difficult to get that nice texture one gets when frying green tomatoes. 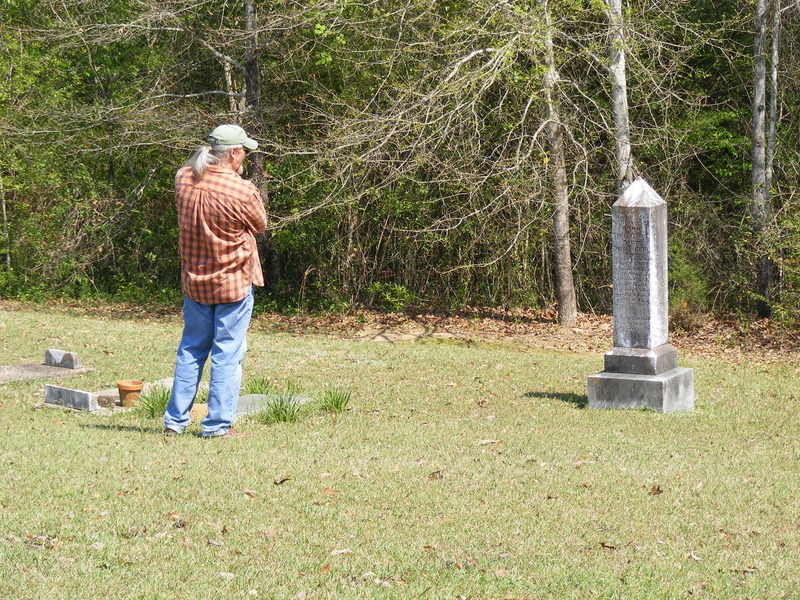 I’m sure our ancestors were equally observant. In 1874, John Cowan instructed his readers, “green or half ripe tomatoes fried, or rather browned, make a nice relish for breakfast, but they require care and patience. Wipe the fruit clean, cut in slices one-fourth of an inch thick, dip in corn meal, and brown on a griddle till tender, say ten or fifteen minutes”. – Cowan, John. What to Eat and How to Cook It”. 1874. NY. Another example: “Fried Tomatoes. Cut in one-half inch slices the required amount of tomatoes, not so ripe as to be soft—green ones are good. Salt, turn in flour, and fry brown in hot olive oil or cotton-seed oil. Place in a platter and pour over them a ripe tomato sauce…” – Diet for Health With Favorite Recipes. 1913. New Jersey. The previously mentioned blogger quoted Fannie Flagg who says her aunt was preparing them in her restaurant in Irondale, Alabama in the 1930’s, but he seems to question her account, further implying, “if it was”, that doing so was a fluke, something not common, but rare, that her aunt found in, “a syndicated newspaper column or a general-interest, national cookbook.” Shame on you, Sir. While you say you are not going to question Miss Fannie’s account, you did just that. He went on to say that the 1944 article from the Dothan Eagle mocks a pamphlet from the U.S. Dept. 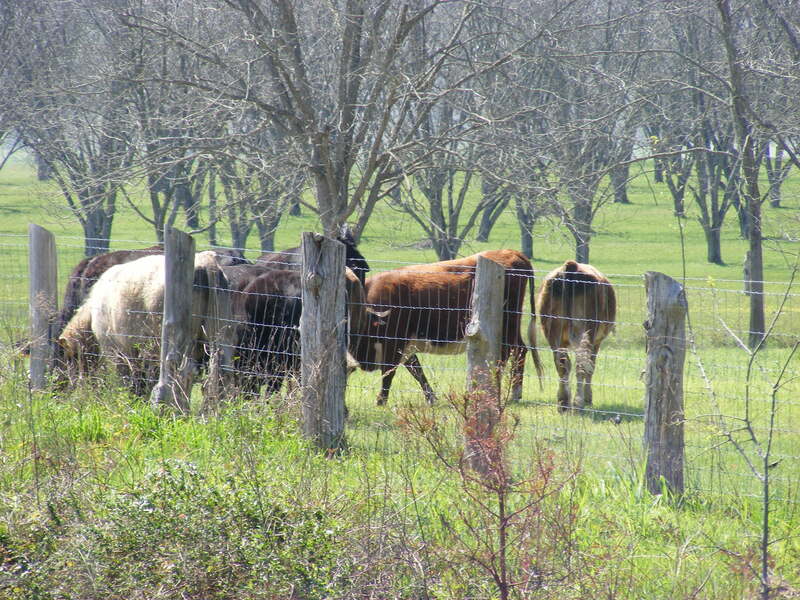 of Agriculture which recommended fried green tomatoes for breakfast. “The title makes the Alabama editor’s opinion clear: ‘No, Thank You, Suh! Our Culinary Tastes Won’t Permit It, Suh!’ “ The implication is that, as of the 1940’s at least, no self-respecting Southerner would dream of eating a fried green tomato. Once again, someone has misunderstood our culture, and mistakenly remarked upon it. 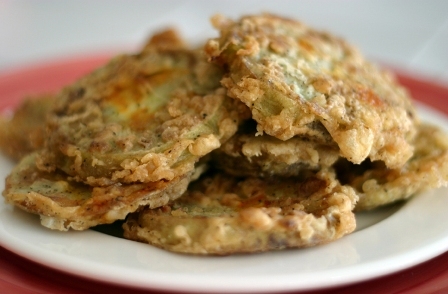 Alabamians were eating fried green tomatoes, but not for breakfast. It is the custom of eating them for breakfast that was being commented on by the editor, not the eating of them in general. Trust me (and Miss Fannie), they certainly pre-date the movie Fried Green Tomatoes at the Whistle Stop Café, released in the early 1990’s. Even though he quotes two Jewish cookbooks containing recipes and implies a Jewish origin, he should realize that doesn’t make them quintessentially Jewish either. The books he quoted were published in 1889 and 1919, a time when cookery books almost routinely carried receipts for fried green tomatoes. That didn’t make them a quintessentially Jewish dish anymore than being published in the 1904 Presbyterian Cookbook made them a Presbyterian dish. – Presbyterian Cookbook. 1904. Fostoria, Ohio. Fried green tomatoes were certainly a staple in our family kitchens from the 1930’s and before, and like fried potatoes, grits, and a host of other dishes were so simple and easily prepared that a good Southern cook needed no recipe for them. The difference in the way we prepared them during my childhood in the 1950’s and now, is that we sliced them, battered them, and put them all into a skillet to fry instead of frying them one slice at a time as most people expect today. We planted enough tomatoes in the garden, staggering the planting times, so that we had an abundant supply until frost at which time any green ones remaining were pickled or frozen to last through the winter. While some early writers instructed the tomato should be picked just as it started to ripen, others cautioned readers to pick them before they showed any sign of color. Still others voiced no preference at all. FRIED TOMATOES. Peel tomatoes and cut crosswise in large slices, salt and pepper, dip each slice into wheat flour, then into beaten egg, and fry at once in hot lard; serve hot. A cup of milk is sometimes thickened with a little flour and butter, boiled, and poured over them. – Wilcox, Estelle Woods. Practical Housekeeping. 1883. Minneapolis. “But that recipe was published in Minnesota, not in the South”, you note. True, but the author included the same recipe in a book entitled The Dixie Cook Book published in Atlanta, GA, two years later (1885), so what do we make of that? Could fried tomatoes be both Southern and Midwestern? I think it will be impossible to determine exactly where and when they were first made, and from the abundance of receipts from all areas of the country, we must conclude that they were universally prepared and eaten throughout the U.S. In 1907, Mrs. Frederick Sidney Ciger compiled receipts she claimed were used a century prior in Mrs. Goodfellow’s Cooking School, also famous old Creole and Moravian Receipts, “and some of the best formulas of our modern chefs”, including a receipt for fried tomatoes from Muncy, Pa. Unfortunately, she made no distinction as to which receipts were vintage and which were modern, so one can only guess based on additional research. – 1907. Philadelphia. Sarah Tyson Heston Rorer’s 1888 Hot Weather Dishes contained three receipts for fried tomatoes. One was basically baked tomatoes with gravy, the other two were for sliced tomatoes, dipped into egg, then into breadcrumbs, and fried. One receipt was for ripe tomatoes, “yellow tomatoes are especially nice done this way”, and the other was for green tomatoes. The cook was free to use which one she preferred. In 1902, Christine Terhune Herrick (pen name Marion Harland) joined several writers who instructed the cook to sprinkle the fried tomato slices with sugar, something few Southerners would find appealing. The sprinkling of sugar was probably to decrease the tanginess so much associated with the dish these days and more closely replicate the flavor of the fried ripe slices. – 365 Luncheon Dishes: A Luncheon Dish for Every Day in the Year. 1902. Philadelphia. In another book, Mrs. Rorer included fried green tomatoes in her breakfast menus . – The Helping Hand Cook Book. 1912. Chef Fred Guyer of Los Angeles was making them in 1910 and preferred cornmeal for battering the tomato slices. – Santa Fe Magazine. Vol. 4. Aug. 1910. In conclusion, I offer one of the more interesting sources, Fifty Years in a Maryland Kitchen, originally published in 1881. If we count backward 50 years from the date of publication, we see that the author claims to have been preparing the dishes in the book between the years from 1831 through 1881. If we consider that Maryland was a border state that preferred to join the Confederacy during the Civil War, but was barred by force from doing so, we get the idea that the recipes were probably predominantly Southern in nature. Both editions included a recipe for Fried Tomatoes, but neither specifies whether the tomatoes should be ripe, green, or either. I feel it is safe to assume, in the absence of further instructions, that either was considered acceptable and that both were being prepared according to personal preference, and in the South as much as anywhere. The Blue Grass Cook Book’s versions were for both ripe and green tomatoes. The green slices were sprinkled with sugar, rolled in corn meal , fried in hot lard, and then seasoned with salt and pepper. There was no mention of battering the ripe tomato slices. “Cut fresh tomatoes in thick slices. Fry ½ hour in little butter and take out of frying-pan. Stir into what is left in frying pan 1 teaspoon of flour moistened in milk. Add a little milk. When consistency of cream sauce, pour over tomatoes. – Fox, Minnie. 1904. NY. FRIED GREEN TOMATOES. Wash and wipe the tomatoes dry, cut into thick slices, dust with salt and pepper, dip each slice in the beaten yolk of an egg, roll in bread crumbs and fry in boiling lard. FRIED GREEN TOMATOES. Slice the tomatoes and lay in salt water a half hour, drain and roll in corn-meal and fry in hot lard; salt and pepper to taste. – Housekeeping in the Blue Grass. 1881. Cincinnati. FRIED GREEN TOMATOES. Wash and cut the tomatoes into slices about an eighth of an inch in thickness, dry each slice carefully with a soft towel, then dust with salt and pepper. Beat an egg in a saucer until light, add to it a tablespoonful of boiling water. Dip each slice first in this and then in bread crumbs. Put two or three tablespoonfuls of lard or dripping in a frying pan; when very hot, cover the bottom of the pan with the slices of tomatoes; fry brown on one side, then turn and brown the other. Take them up carefully with a cake turner, place on a heated dish and pour over them Sauce Hollandaise. Very good. – Rorer. – 1888. Philadelphia. FRIED TOMATOES IN BATTER. A nice side-dish is made by dipping slices of ripe tomatoes in a batter made of flour, milk and an egg, and frying them a delicate brown. – Williams, Jennie B. Us Two Cook Book. 1909. NY. FRIED TOMATOES. Cut fine, ripe, solid tomatoes in halves; dredge them with pepper, salt, and sifted cracker dust. Put three tablespoons of butter in the chafing-dish; when very hot, cook the tomatoes on both sides and serve. A little onion juice is an improvement. – Sawtelle, Henrietta. What One Can Do With a Chafing Dish. 1890. NY. These photos are from my display on the above topic for the French and Indian event at Ft. Toulouse in April 2012. 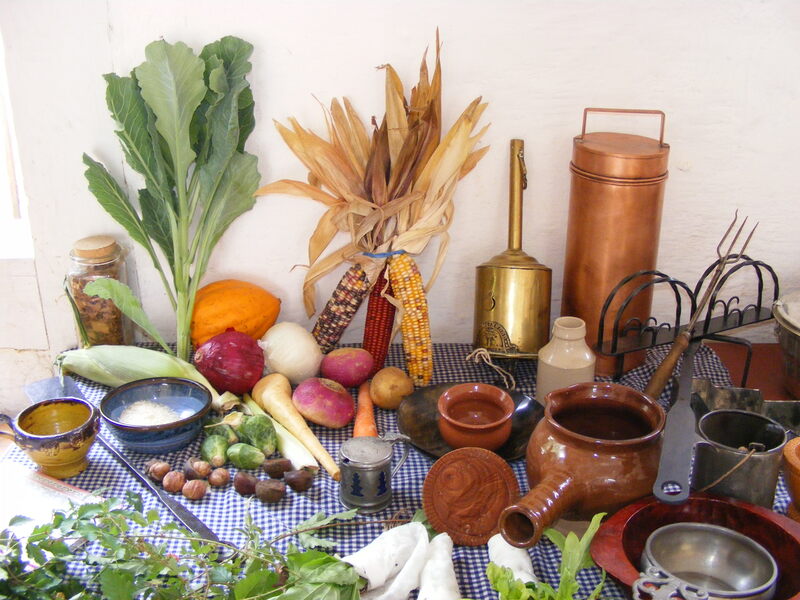 I displayed various foods and discussed their origins and uses, of those were several non-native foods such as purslane, plantain, and dandelion, which were brought here by European settlers as garden crops. 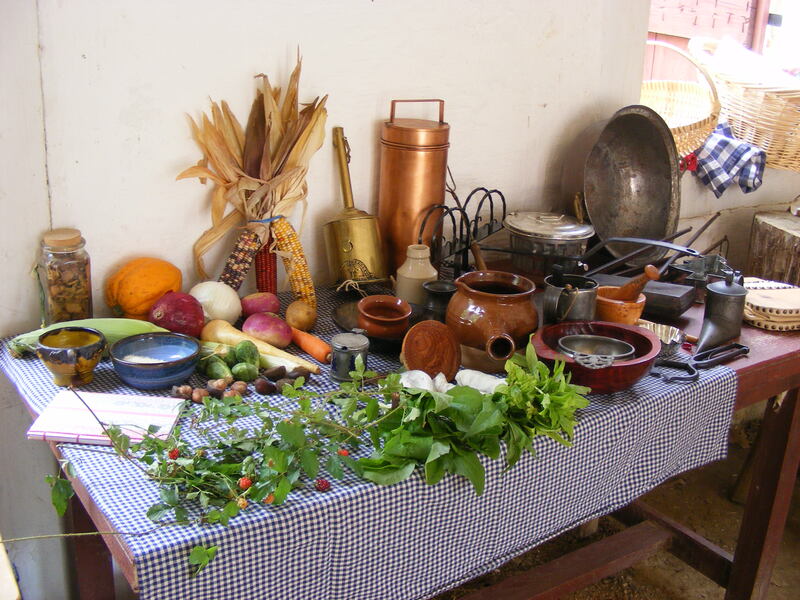 Native foods displayed included hickory nuts, dewberries, squash, wild rice, chestnuts, etc. Several non-native foods had been introduced so long ago that some of the early writers mistakenly assumed them to be native. 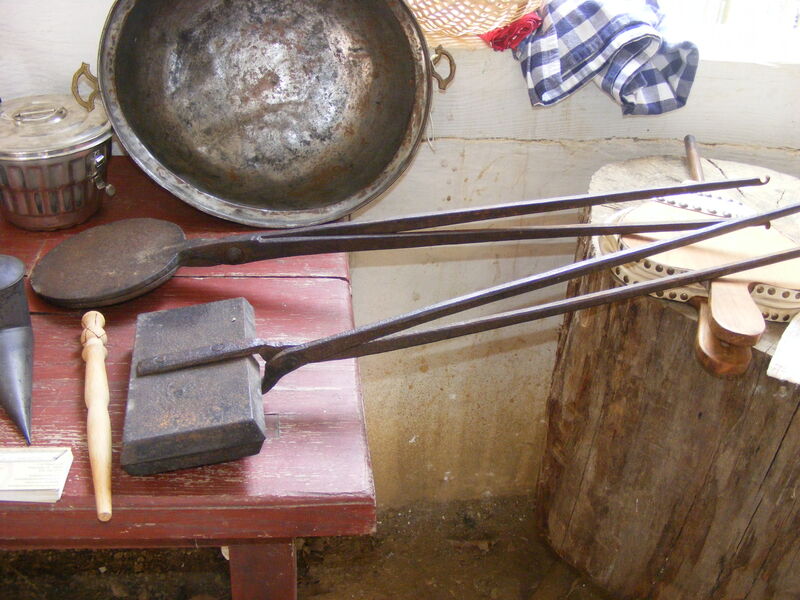 Kitchen utensils displayed included an 18th century waffle iron, wafer iron, toaster, sugar nippers, redware pipkin, bottle jack, mustard pot, horn spoon, sorbetier, beverage warmer, butter mold, etc. Culture can change, homes can change, and those who live in the homes can change, but the one constant is the history of it all. We can’t (truly) rewrite it, we can’t relive it, but we can remember it, cherish it, learn from it. 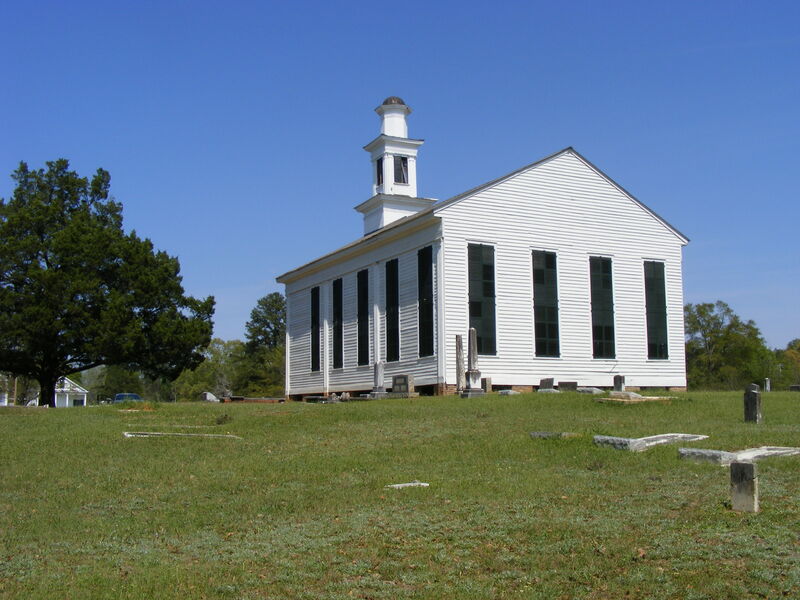 Such is the story of Pleasant Hill, Alabama. 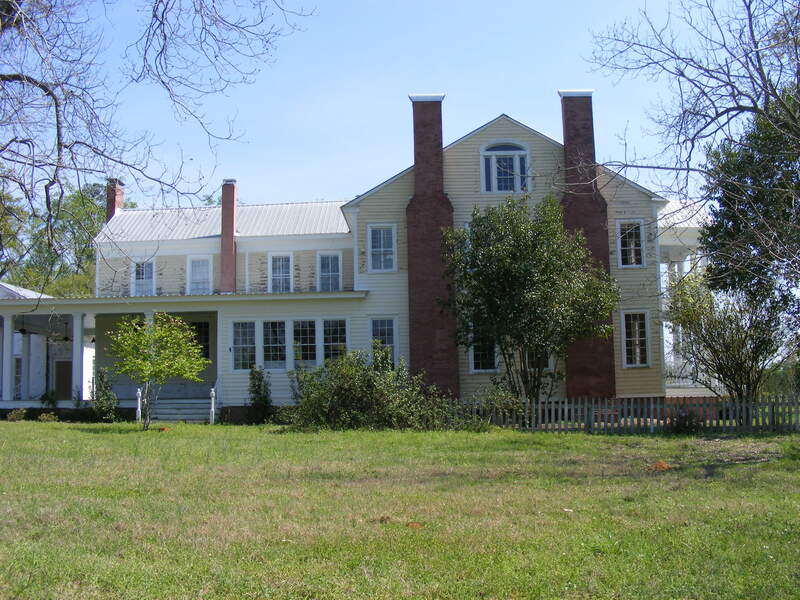 In a previous post I wrote about Phillip Henry Gosse and the account he penned of his short stay in Pleasant Hill, readers may wish to scroll down to that entry to learn more about this gentleman and the village he called home in the late 1830’s. 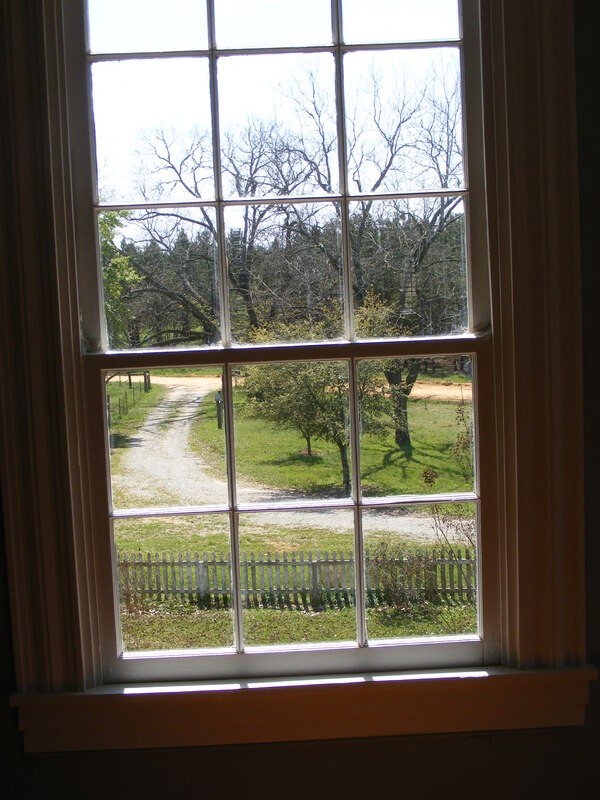 Gosse described the homes in Pleasant Hill, even for the wealthier citizens, as crude log houses and log dog-trots which fell into ruins and rotted away decades ago, but the countryside is still much as Gosse saw it. 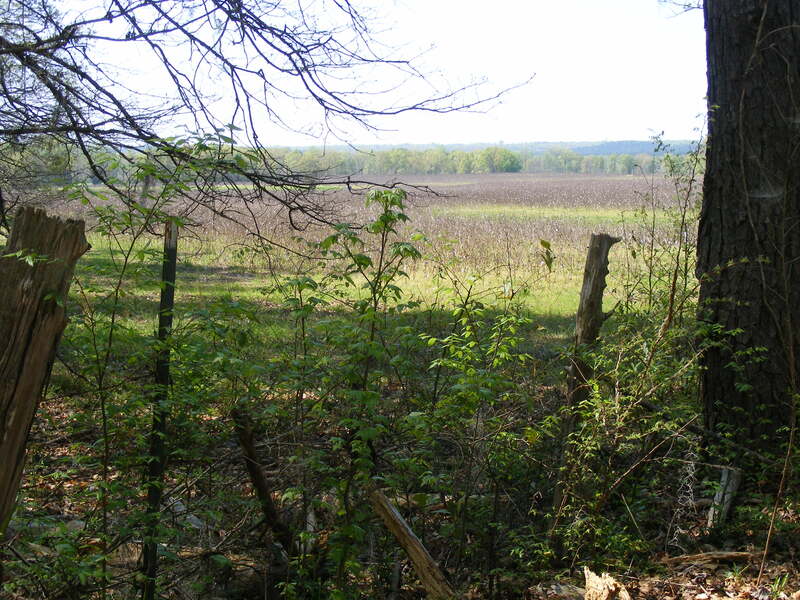 It is rural, largely unsettled, and consists primarily of fields and pastures. 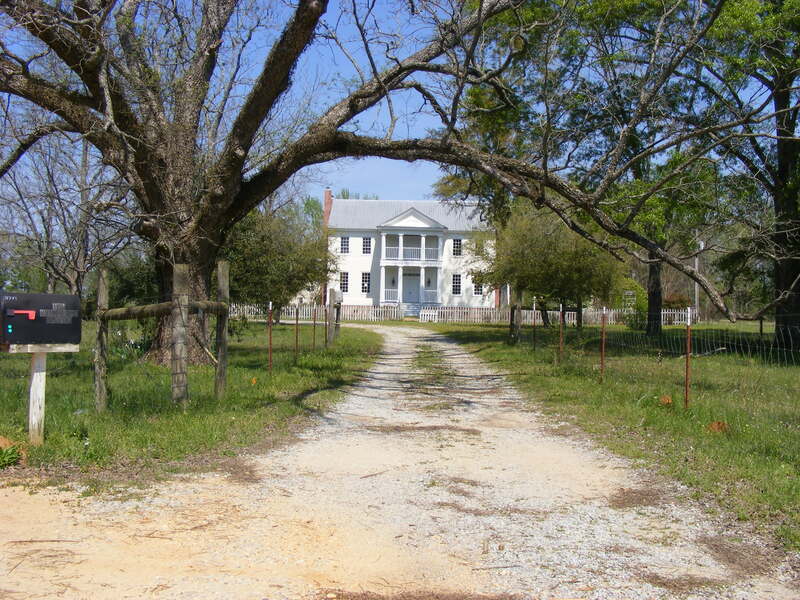 It is just the sort of place where one could sit on a porch swing in the gentle southern breeze watching grandchildren play or shelling peas for supper, without traffic noises and unwanted intruders. 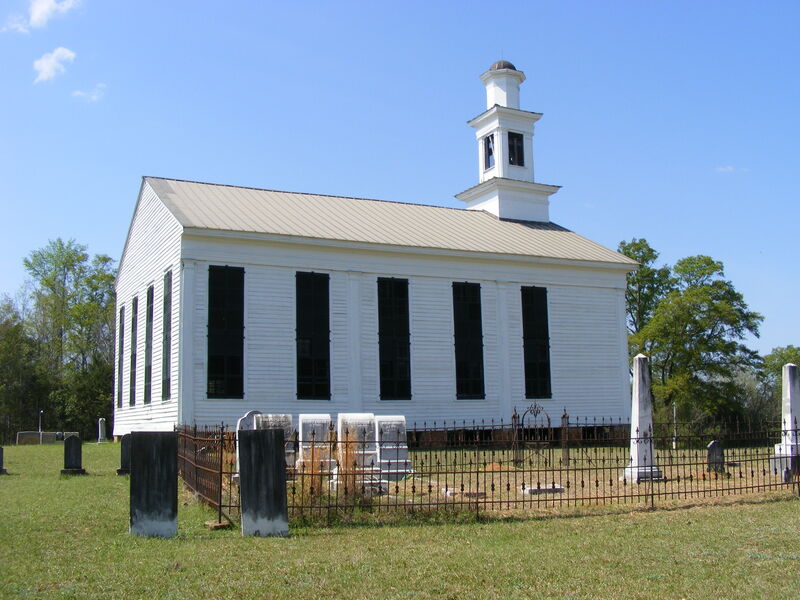 This church stood when Gosse lived in Pleasant Hill, and if he attended church at all, this is where he worshipped. 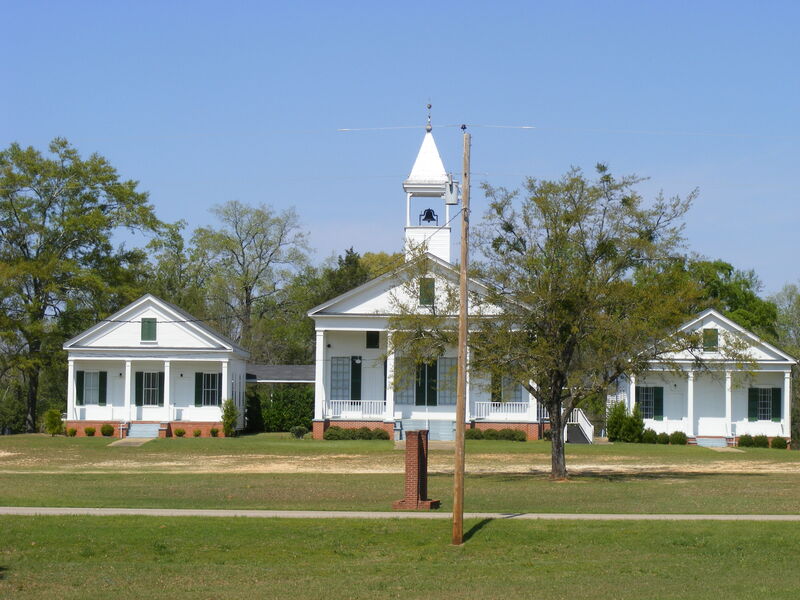 The church is within walking distance of the home where Gosse worked as a teacher. 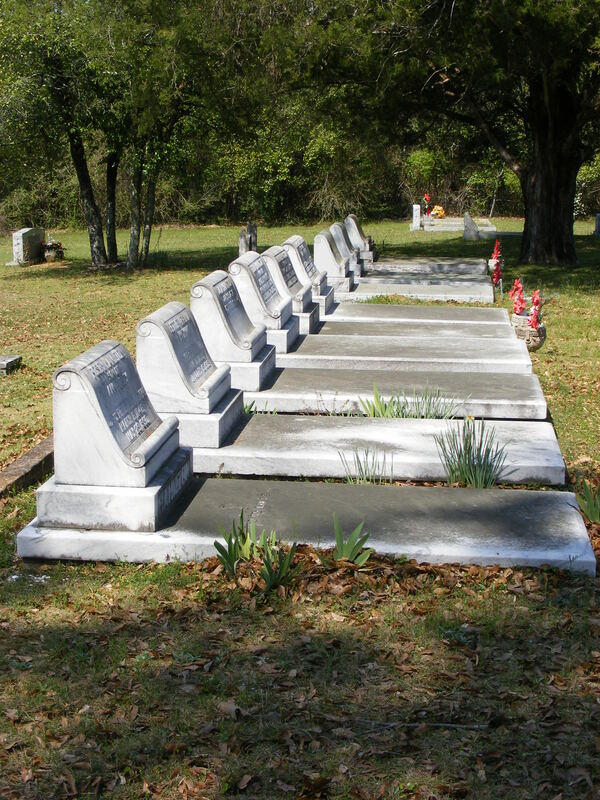 The graves of his employer’s family, Judge Saffold, are not located in the cemetery, they are buried on the property where the home stands now.